Being a perfect candidate for the position of copy editor almost means that you have to possess a perfect syntactical prowess. Everybody expects you to be just that, especially hiring managers who only have a partial knowledge on your field of endeavor. The problem is that perfect is impossible. 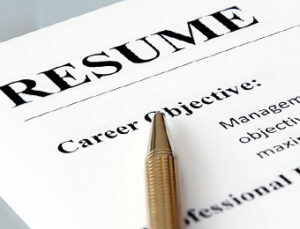 Don’t forget though that resources abound online on preparing a powerful copy editor resume that you can be confident of. If you’re one applicant who’s sure that copy editing jobs is not everybody’s cup of tea, then you might be getting the point as of this moment: good copy editor resumes are no different than a good engineer’s or physician’s application paper. And there lies the problem. It is hard to cope with a hiring industry that expects writers and editors to pass a more impressing resume, when in fact, the art of crafting words is imbued in every field of interest. So how to make you copy stand-out despite the impossible expectations? Simple. Ignore their expectations and set out a standard for yourself. Being the best candidate is not all about using the most elaborate words and keeping a blameless grammar. Most of the times, it is as simple as the art of self-projection. Even more so, you can improve your papers through these simple but powerful tips. Need say? The job you’re applying for requires some impartiality. If you’re going to be employed, you have to respect the style of other writers. And any employer will know if you’re objective once they pore through your resume, so keep caution when writing about passion, style and specializations. Mention them, but not too much that they might think you can’t be flexible to other approaches. Join as many organizations as you can and be active on them. They can level you up with loads of seminars. Plus, they keep you on track when it comes to new knowledge on the writing industry. Styles and trends keep changing, so they update you every once in a while. Your active affiliations will do the talking to the prospective firm. Probably, they knew what activities have you undergone under the interest group especially if it’s a national organization. You can only be an editor if you can juggle tasks and manage stress well. The thing about making every article fit for publication is a task that can’t wait. It’s either you finish it on time or you fail. To say that you will bear a lot of responsibilities for the task is an understatement. Copy editors sacrifice more than people thought of. Send out the hint that you know well the hardships you will go through while holding the post. And check it twice. Nothing will turn off a hiring manager than a copy editor resume that is badly structured. Bring out a clean grammar and comprehensible statements like you’re leveling your style for the target reader. You don’t need to impress with highfalutin words. Just write like how you talk formally. Editing is one of the most thankless jobs on earth. If you think you’re only going after this career just for the money of it, we’re warning you to keep off this profession. Only those with passion survive in the industry, and if you’ll ask, yes, of course, the employer would specifically seek to know in your copy editor resume how passionate you are about the task. If you’re still struggling how to best prepare your copy editor resume, you can always seek the help of any of the best online resume writing services.